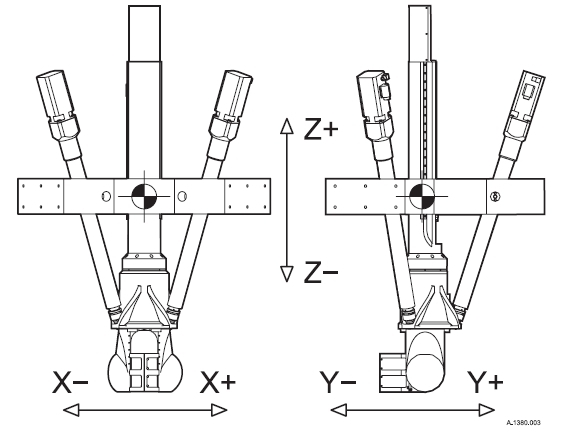 Tricept modules can move in cartesian X, Y and Z direction as any other SKM cartesian machine tool. Any of the controls available (Siemens 840D & ABB IRC5) for all tricept products include a kinematic transformation that makes the programming an easy task, as in any other conventional machine. For example, in the case of Siemens 840D module, this system is developed to be a standard control system for a great variety of machine tools. 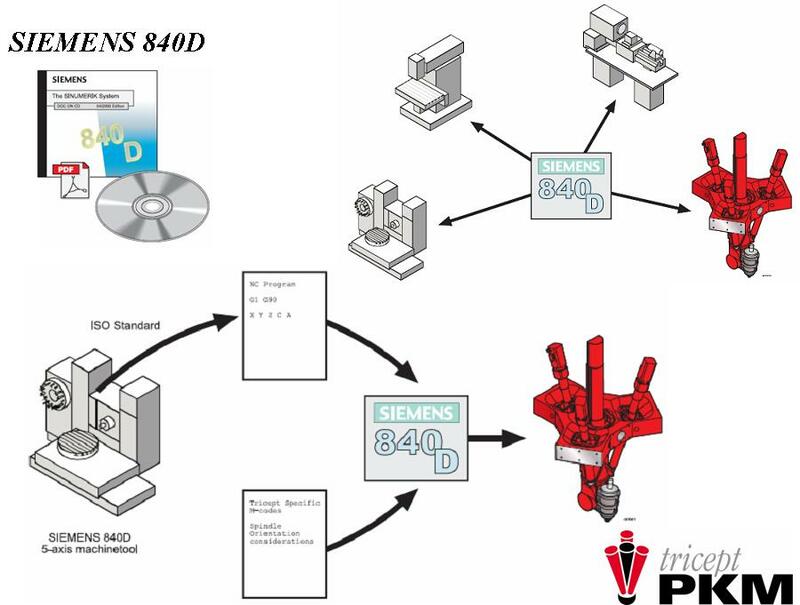 This makes that programming in Siemens 840D is standard language and procedure for any machine using it as a control (Fig. 1). The user interface for controlling a Tricept is as simple as shown in Fig. 2. Fig 2. Tricept standard control hardware. Operator panel and electrical cabinet. In the control there is the posibility to move the tricept Axis by Axis (Fig. 3), but it is also possible to control it in cartesians (Fig. 4). Fig. 3. Controlling tricept Axis by Axis. Fig. 4. Controlling tricept in X, Y and Z cartesian movements. 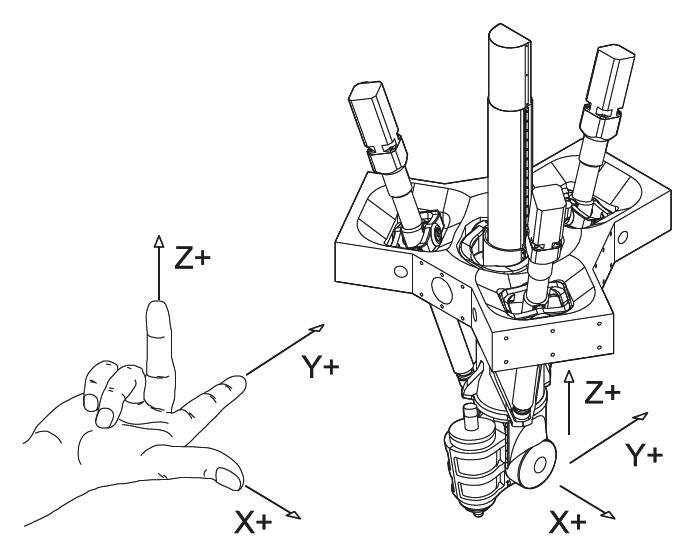 The coordinate system for a tricept machine is always following the right hand rule (Fig. 5), moving the tricept as shown in Fig. 6. Therefore, as a conclusion, although the tricept looks like a different machine tool, in terms of programming and everyday use for the users and programmers it is as simple as programming any other cartesian XYZ machine tool.